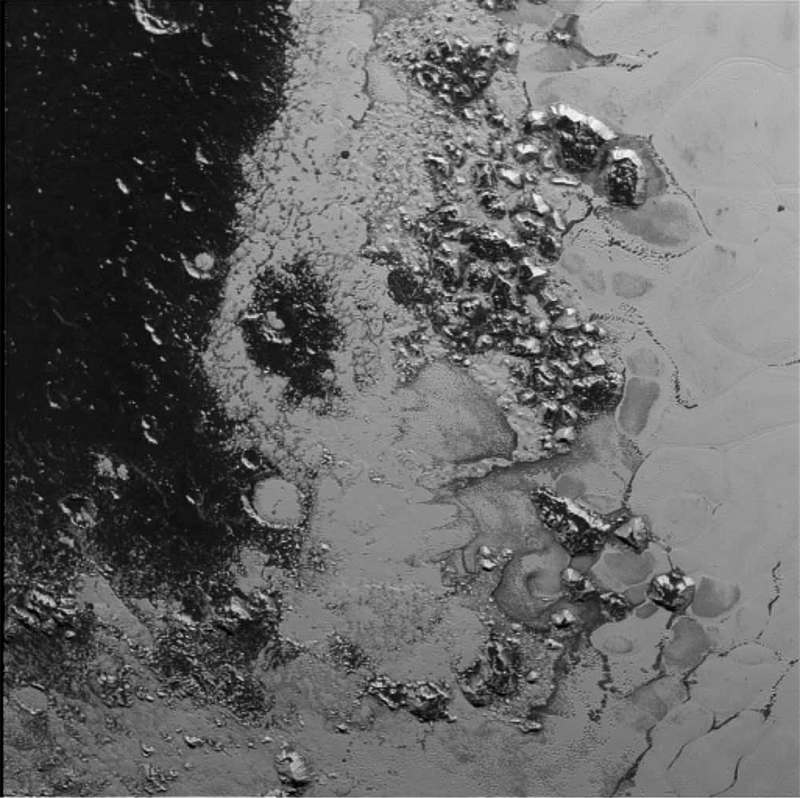 A bunch of amazing new Pluto images, released yesterday, July 24, including flowing nitrogen ice, similar to glaciers on Earth, and haze in Pluto’s atmosphere. 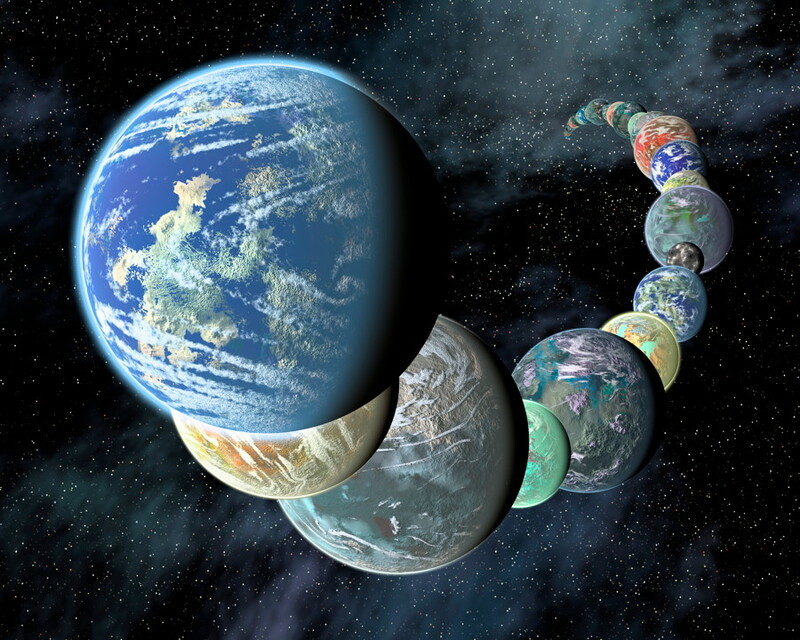 A very alien world! 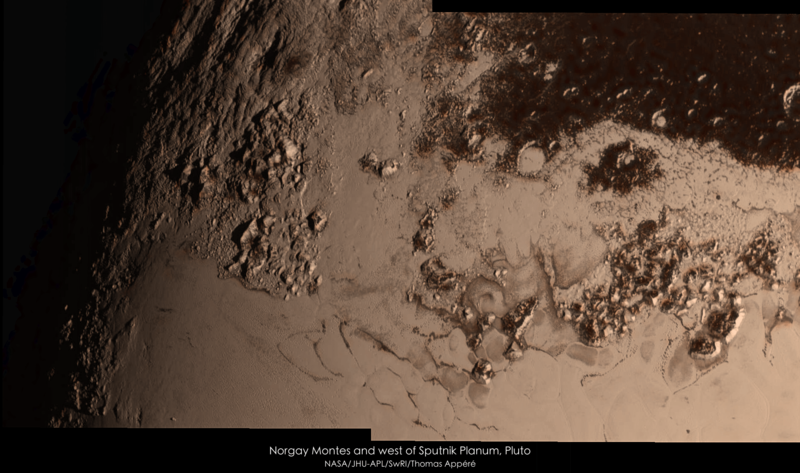 Another beautiful mosaic image of the icy mountains and plains in the southern “heart” region of Pluto, this time in colour with image processing by Thomas Appéré. The mountains on the left have been named Norgay Montes and the plains are now known as Sputnik Planum. Plus more Pluto information and images at the next press briefing tomorrow! Another amazing image of Pluto’s surface has been released, showing a second mountain range similar to the one previously photographed by New Horizons. The peaks in this range are estimated to be from 1 to 1.5 kilometres (0.5 mile to 1 mile tall), similar to the Appalachian Mountains in the U.S., and like the others, composed of solid water ice. 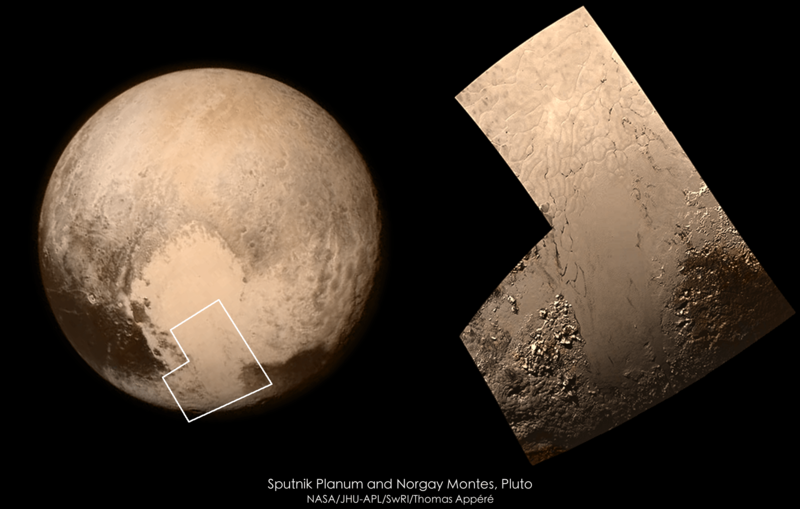 A great new colour mosaic of the first Pluto flyby images released so far is now available from Thomas Appéré. The images show the Sputnik Planum plains and Norway Montes mountains in the southern part of the large “heart” feature. More images to come soon! 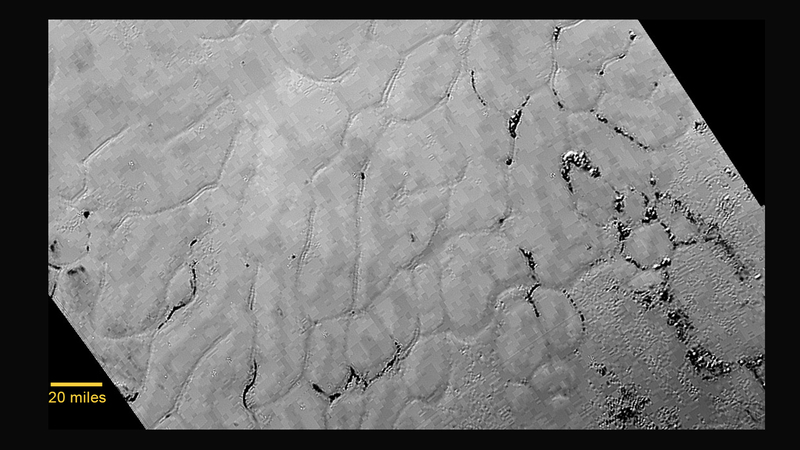 A new close-up view of Pluto’s surface was released today, this time showing an expanse of icy plains next to the previous mountains imaged earlier. More bizarre and unexpected terrain, with polygons similar to ones seen in icy regions on Mars and Earth, but on a larger scale, and how they’re formed here isn’t known yet. Other mounds and small pits are also visible. As noted in the press conference again, Pluto is turning out to show much more evidence for geological activity than had been anticipated. This image version still has compression artifacts in it, but there are more and higher-resolution images to come! The best ever photo of Pluto so far was just released by NASA as New Horizons neared closest approach (and successfully completed), taken on July 13, 2015 from a distance of 768,000 kilometres (476,000 miles). We can now see this world in detail for the first time in history. 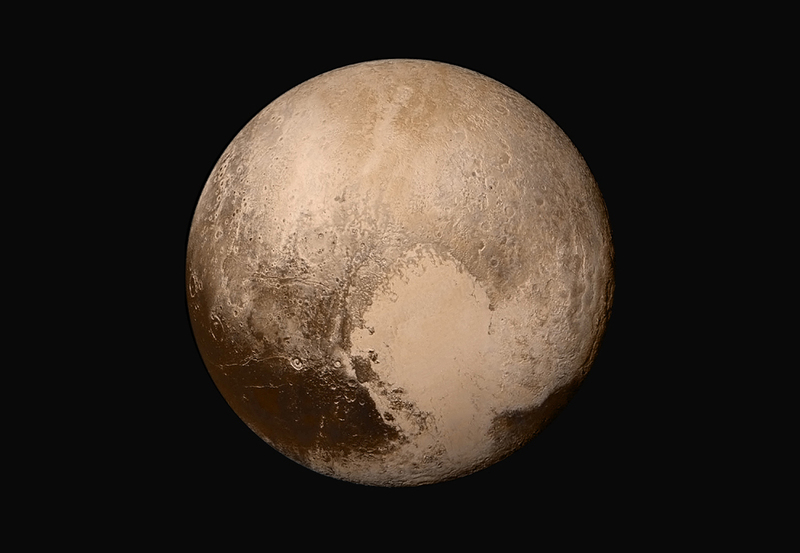 The probe is now on the other side of Pluto, heading outward. 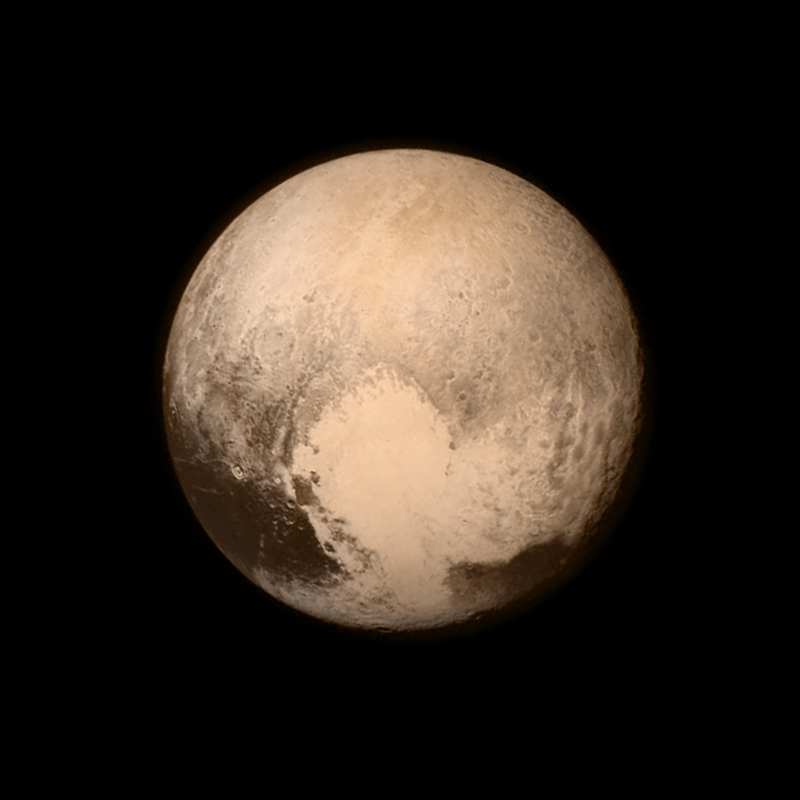 Many more images from closest approach are to come, and a lot of other data, starting tomorrow!